St Bride's Managers is a global real estate investment manager and the cornerstone member of the St Bride's Global Alliance. London, New York, Sydney and Hong Kong. We believe that a global exposure to real estate will become a stronger theme in institutional property investment strategies. 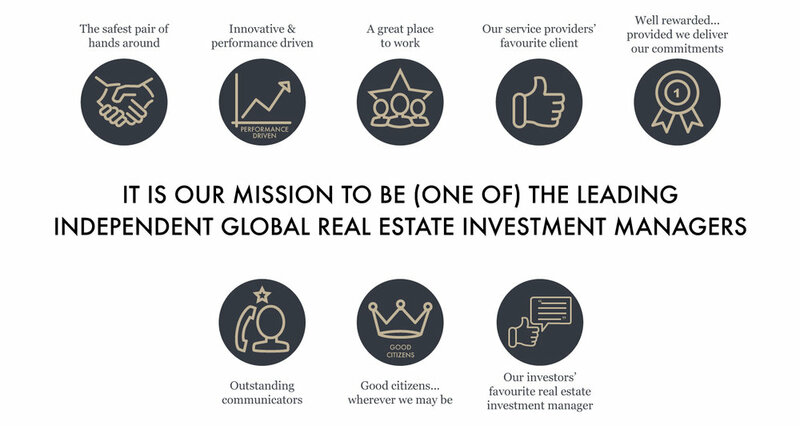 It is our ambition to 'de-mystify' overseas property investment and encourage investors to focus on key cities rather than a 'catch-all' country-wide approach. To this end, we have identified twenty cities for long-term investment, offering our clients a clear pathway to achieving a balanced and diversified portfolio. We measure and rank the UK towns and cities for their long-term sustainability and vitality to determine our favoured UK regional cities. The results are generated from three levels of screening: seven strategic regional themes; eight demand proxies and three/four property specific indicators (including long-term total returns, yields and rental growth). We believe that our 'Key Cities strategy' offers a clear pathway to achieve selective and controlled long-term exposure to property in the UK regions. At 12:30 pm this afternoon the editorial team at The Weekly (and a large proportion of its readership) will most likely have their feet up and their eyes glued to Sky Sports, as the final round of the Masters gets underway at Augusta. Everyone knows that April in the UK is renowned for its showers and fools. Given it is early on a Sunday morning, The Weekly thought it was important to start off with two quick reminders. Talk about a roller coaster of a week for Scottish sports fans. The Weekly is sure everyone has dreamed of winning the lottery at some point in their life. The Weekly has always found March to be an uplifting month. Daffodils are in full bloom and it is the month that cheerfully ushers in the official start of Spring (20th) and day-light saving time (31st). The modern world of professional sport has had its fair share of sensational drug scandals. After making a range of sporting, economic and political predictions over the course of the last two Sundays, (all of which remain on course, we might add! ), this edition of The Weekly focuses on Bull and Bear's expectations for the UK property market in 2019. Where’s Tom Cruise when you need him? When it comes to character traits, there are few less attractive ones than smugness.